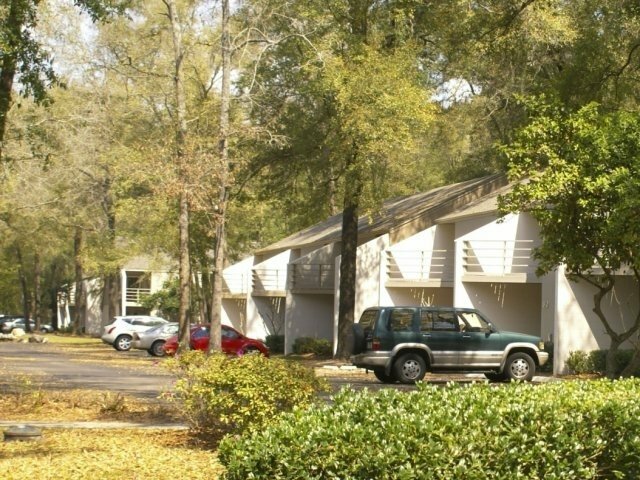 You’ll find The Grove Villas about three miles from the center of the University of Florida’s Gainesville campus. It takes less than 10 minutes to drive to the Fifield Hall parking lot without traffic, and you can drive to the commuter lot toward the center of campus in about 15 minutes. Simply drive east on SW 20th Avenue until you reach SW 34th Street. This road runs along the western edge of campus. Turning north on 34th and then east on Hull Road will take you to the closest parking areas. If you prefer to bike to class, you can reach the western edge of campus in less than 20 minutes. The walk can take an hour or longer, and you need additional time to walk through campus to your final destination. SW 20th Avenue will take you directly to campus, and you can turn on any road to reach your desired campus buildings or recreational points. You can use the RTS bus system to reach the University of Florida, but expect to spend up to an hour traveling each way. You will then need additional time to walk to your desired area of campus. The closest bus stop is right in front of The Grove Villas complex, but that stop isn’t connected to a bus route that travels directly to the university. You have the option of walking about one mile down SW 20th Avenue to the bus stop at the Cabana Beach Apartments to catch the route 20 bus to Rawlings Hall or taking the route 76 bus from the apartment complex and transferring to a route 10 bus in front of the Northwest Baptist Church. This second bus route will take you along the northern edge of campus, and the final stop is on the eastern edge of campus near the Graduate Apartments. You can reach most areas of Gainesville using the busing system, but some locations may require at least one transfer. You can also catch a long list of bus routes from campus. The Grove Villas are located across SW 20th Avenue from the Split Rock Conservation Area, which protects acres of forests and wetlands. Clear Lake and its expansive nature park are within a 15-minute drive of the apartment complex, and The Oaks Mall is located approximately two miles to the north. You’ll find a variety of restaurants and retail stores surrounding the mall, and you can drive to the area in under five minutes. The bike ride will take you up to 15 minutes, and there is a direct bus route that will get you there within 30 minutes without delays.